Charter Oak is our flagship product, combining authentic wood beauty with unmatched durability, performance and maintenance freedom. It has a .046” thickness that makes its durability unmatched. Alside’s exclusive TriBeam Design gives Charter Oak superior rigidity, while a double-thick nail hem enables it to withstand high winds. Charter Oak has been independently tested to resist Category 5 hurricane-force winds. Charter Oak is available with either a rich Oak wood grain, or a matte finish. 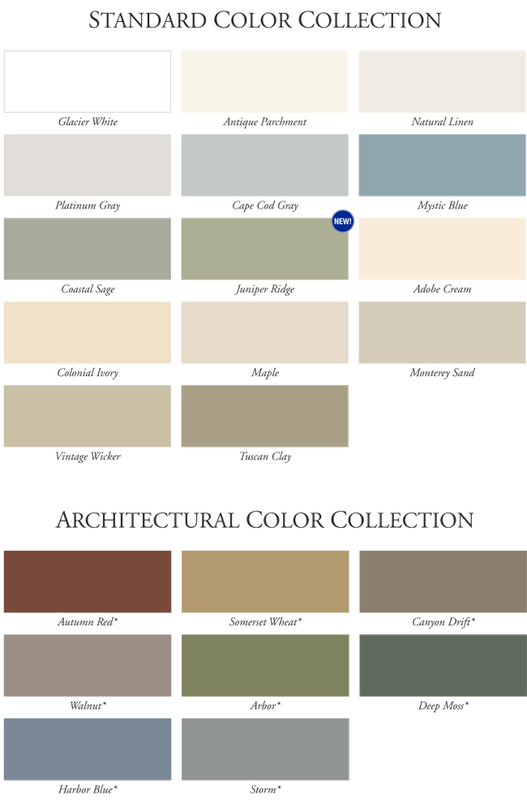 The Charter Oak family of products are available in 14 of today’s most popular colors, plus 11 deeper, richer colors from our exclusive Architectural Color Collection. This product has even been featured on Extreme Makeover Home Edition! Avaliable in Double 4.5” Dutch lap and Stright lap.